When we think about a child friendly place, the ideas that usually come to mind are playgrounds, swimming pools with toddler areas, zoos, etc. The Coal Loader is one of those places that you would never go, unless you are a local or someone recommends it. 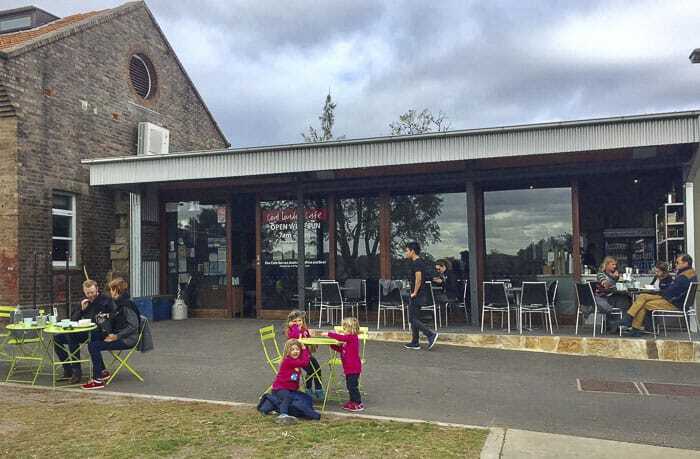 In this article, you can find detailed information about the Coal Loader and the Coal Loader Cafe, and I will explain why my daughters enjoyed visiting such a significant historical place, despite being so young. Cammeraygal people used to live in this part of North Sydney before colonisation. It was a sustainable environment for them. They had water, vegetation and shelter thanks to the natural rock overhangs. 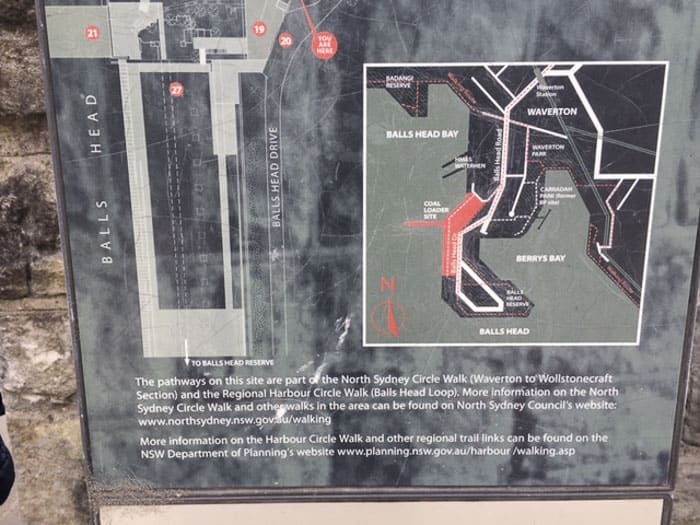 Later on, during the coal economy, this part of Sydney became the perfect land for the construction of a new wharf, a platform and tunnels, constituting the site of the Coal Loader. The waters of Balls Head are one of the deepest and, NSW had lots of fuel and coal mines. The site of the Coal Loader operated from the early 1920s to the early 1990s. But, it wasn’t until 2003 that North Sydney Council decided to transform it into a sustainable place. Nowadays, The Coal Loader Centre for Sustainability promotes sustainable living through different initiatives and workshops. 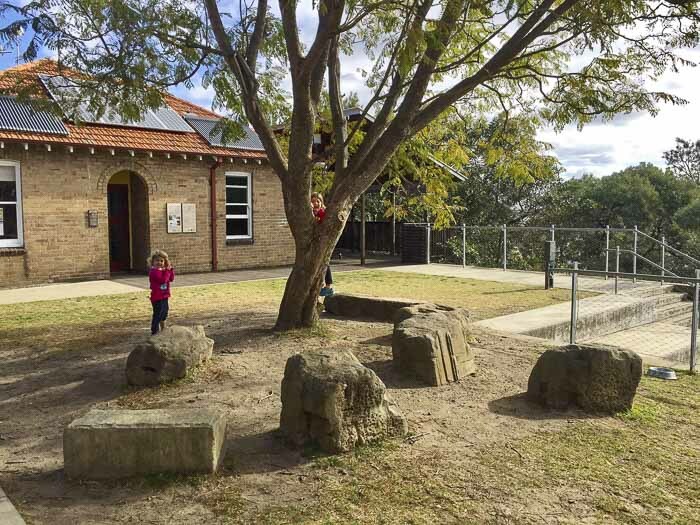 The Coal Loader is not only an “outdoor museum” but also an education centre. The Coal Loader is a very child friendly place. Firstly, it is car-free. And, secondly, it is pram-friendly. 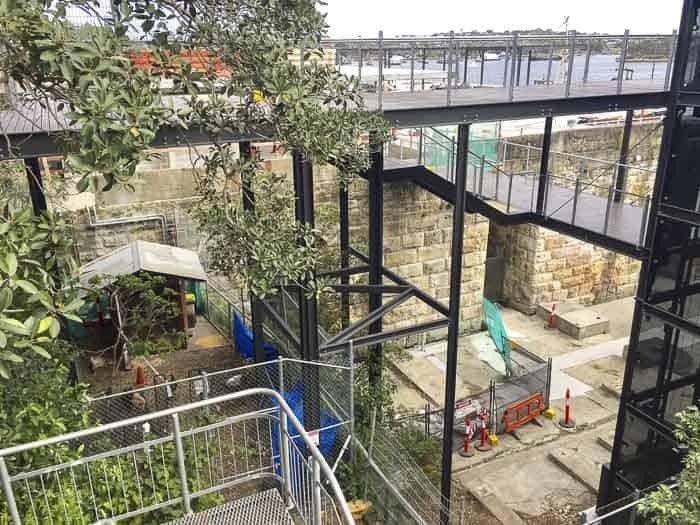 From the top of the platform of the Coal Loader Sustainable Centre, there is an elevator to go down to the shore, where you can find the tunnels and views of the old dock. Note: If you have little children, keep an eye on them, as the area next to the water is not fenced. 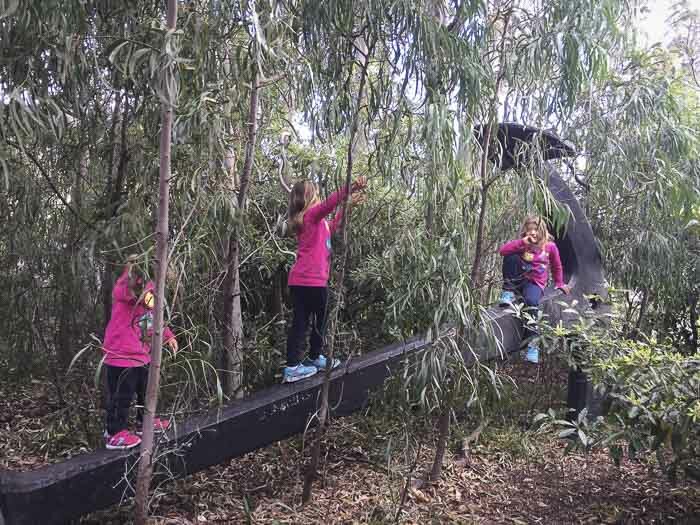 Furthermore, the Coal Loader is also a paradise for children that have curious minds. 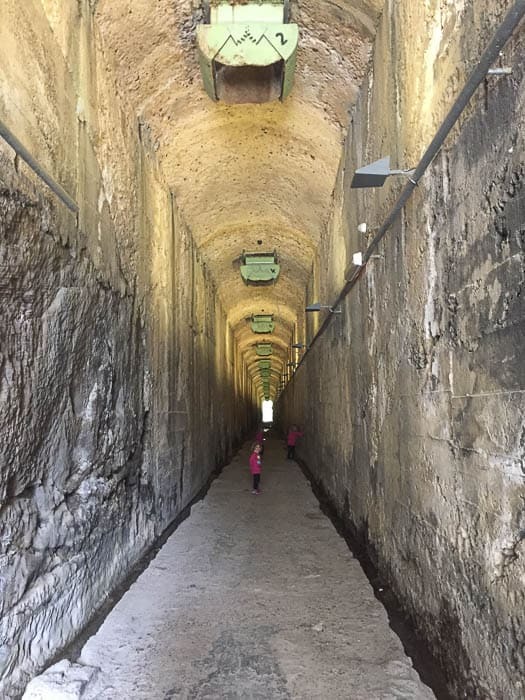 My daughters loved walking through the big tunnel. It might look a bit scary, but it is lit by automatic sensor lighting. 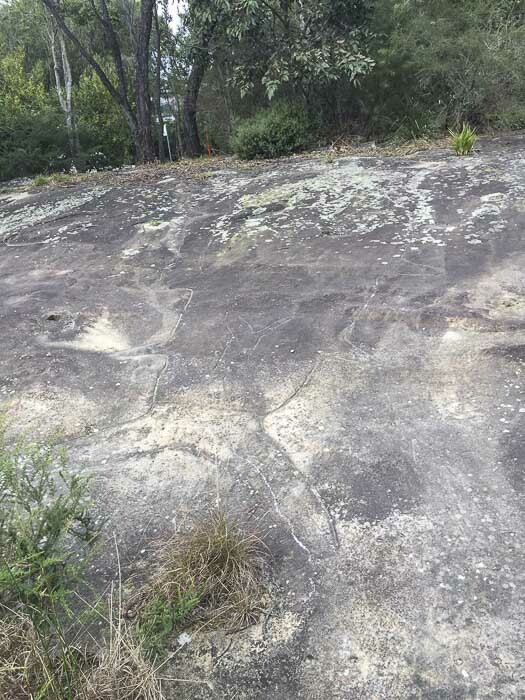 Aboriginal Rock Engravings They are outside the precinct. And they are easy to spot! You can see very clearly the figure of a big whale. Community Garden Children can see a beehive, different plants and organic veggies, composting systems and worm farms. Chicken yard Head down using the steel stairs and you will find a chicken yard on the middle level. The yard is run by volunteers and it has several chooks. Tunnels and the coal trailer There are four tunnels but only one tunnel (the number 2) is open to the public. The loader site was a distribution centre from the 1920s to 1992. The coal was transferred from large carriers to smaller boats, and later, in the 70’s a conveyor system was built. The tunnels were part of the infrastructure of a railway system that operated until it was replaced by a high-speed conveyor. HMAS Waterhen This Royal Australian Navy base is around the corner. So, if you are lucky, you might be able to spot some big boats! The Coal Loader Link track This track is very spectacular and quite easy. The access is via the Tunnel 2, which is open 24/7. You can find more information about the Coal Loader Link Track on the post of “Balls Head Bushland Reserve, an oasis of nature”. The Coal Loader Café –which is inside the pedestrian precinct of the Coal Loader Centre for Sustainability- is an ideal place to wind down. Let your children run around and relax with a cup of coffee or have a bite. The café has children’s menu and highchairs. Please, note that it is only open Wednesday to Sunday, 7am to 3pm. Parkland picnic area If you don’t want to eat in the café, the picnic area has plenty of shade and despite being on the shore, it is big enough for placing the picnic rug far away from the water. 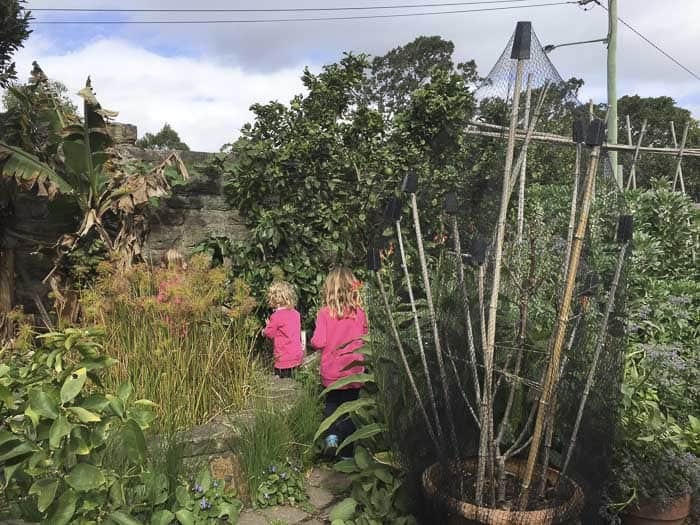 Older children may enjoy exploring the surroundings. 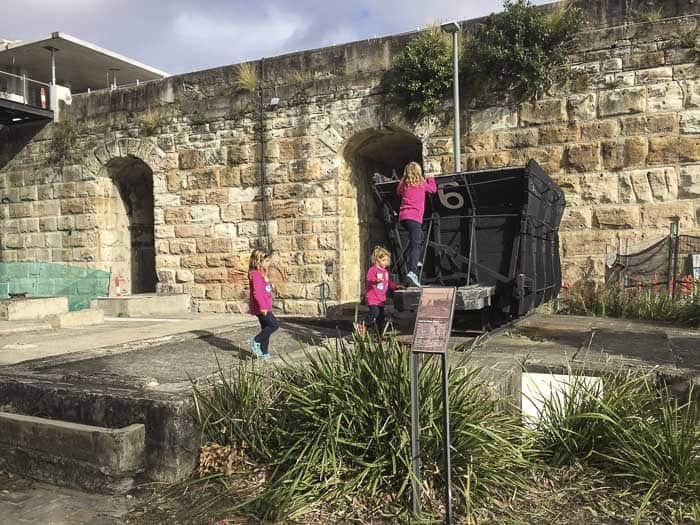 Mum’s report: My daughters had so much fun in the Coal Loader! We tend to think that girls might only like fairy gardens, but this is only a stereotype. My daughters were amazed when they walked through the huge tunnel of the Coal Loader. If you want to do something different, I highly recommend a visit to the Coal Loader. It is free (hooray!) and not far away from the City. For a bigger day out take a walk and enjoy the views at Balls Head reserve which is very close by. Artisans Market It is held on the last Sunday of every season and features over 70 stalls. 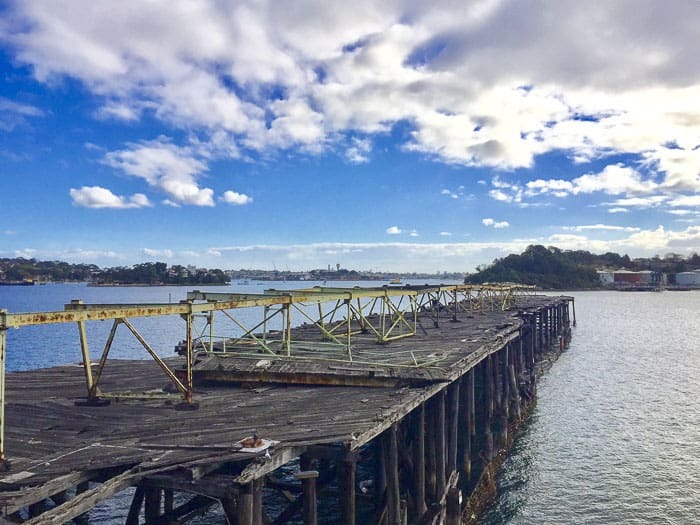 Walk from McMahons Pt Wharf to the Coal Loader (only for families with older children). It is 3km one-way. Coal Loader Platform Gardens They are under construction. I cannot wait to see them finalised. It will be an extension of the current parklands of the Coal Loader with great views over Balls Head Bay. Nearest station: Waverton Railway Station. We will definitely go back to the Coal Loader with my husband, who used to work in the mining industry. I am sure that he will be fascinated. Do you think that your children would like to do something different?